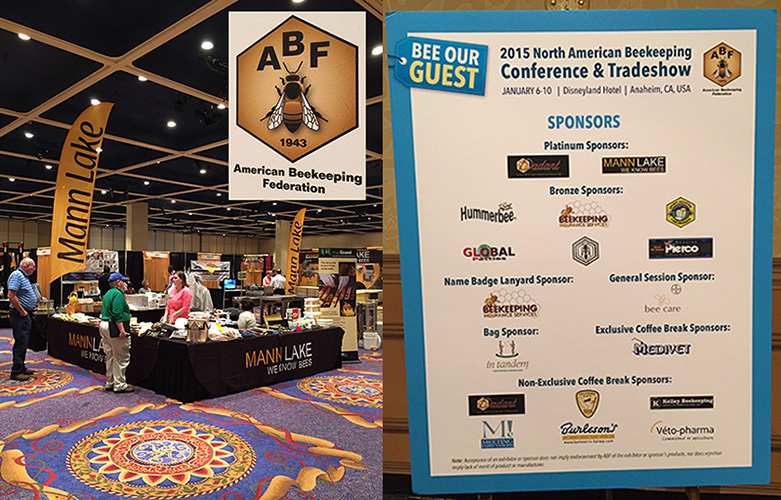 A few of us HoneyLovers went down to the opening day at the American Beekeeping Federation Convention in Anaheim, held at the Conference Center of the Disneyland Hotel. 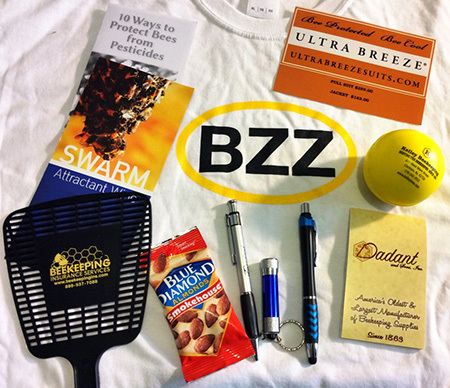 It was a big and corporate-filled world compared to our hobbyist, urban beekeeper ways (The California Almonds® and Bayer CropScience Bee Care Center had booths). The big equipment suppliers were there, as well: Brushy Mountain, Kelley, Mann Lake and Dadant, along with a few smaller companies like Blue Sky Bee Supply. We picked up a few fresh suits for Sunday mentoring. The big equipment suppliers were there, as well: Brushy Mountain, Kelley, Mann Lake and Dadant, along with a few smaller companies like Blue Sky Bee Supply. We picked up a few fresh suits for Sunday mentoring. There were the standard displays of beek tools (like a dandy 10” smoker or steel entrance rounds) along with a one-handed Queen catcher and marker gizmo. Forklifts, extractors the size of Smart cars and treatment booths were plentiful along with solo entrepreneurs with the latest new bee vac waiting for the world to beat a path to their doors. There were a few choice t-shirt vendors, fancy honey labels and jars, wax blocks and fire starter pellets, too. The ABF breakout sessions were largely designed for the commercial beekeeper such as honey bottling management and Queen breeding. As with most things bee-related, it was the people who were captivating, as well. We met David Hackenberg, a beekeeper from “Vanishing of the Bees” and the BeeMan. 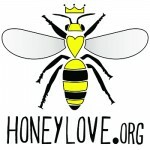 Rob McFarland from HoneyLove will be back down to NAB Friday morning (today!) 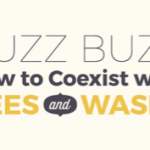 from 9:00-Noon, when elementary-aged kids are welcomed to The Disneyland Resort to participate in the “Kids and Bees” program led by Sarah Red-Laird (BeeGirl). This no-charge event has been a tradition with the ABF conference for over 20 years, and is a “don’t miss” opportunity for school groups, home schooled kids, scouts, and clubs. Kids and their teachers or parents can expect a room full of hands-on activities under the themes of, “The Art of Beekeeping,” “The Science of Beekeeping,” “The World of Beekeeping,” and “The Future of Bees: It’s Up to You!” Favorites such as beeswax candle rolling, bee finger puppet making, and hive displays will be there. The highlights this year will be face painting, a photo booth with costumes, and an ultraviolet “Bee View” demonstration. Students will make their way through each station, engaging with beekeepers and Honey Queens from around the US, and activities that will harness their senses and imaginations. For up-to-the-minute details check out BeeGirl’s Kids and Bees facebook page here! Conference runs through Saturday afternoon. Check the event schedule before you go—tickets available at the door. Hey, Guys—you forgot to mention that one of your members is featured in the displays for the SolutionBee Hive Scale at the SolutionBee booth, which is next to the Bee Informed Partnership booth, the folks running the BIP federal hive scale monitoring project!! Yep, my hive and scale and smiling face along with the spectacular weight increase data are all featured on the video screen at the booth. I was also there for the Wednesday session and will be there at the booth on Saturday as well. SolutionBee sponsored my entrance fee and Sat. is sponsored by the generosity of Ray Teurman.